Leslie was incorporated in 1892. The town was given its name from a Victorian lady named Leslie Bailey. Today, the town still looks much the same as when she strolled the dogwood lined streets and well-kept white houses over a century ago. A large part of Leslie belongs to the agribusiness sector of Sumter County. Rolling farmland and rumbling tractors harvesting different produce throughout the year is the common sight driving through this part of Sumter County. Leslie is home to the Antique Dogwood Festival each year in April. The festival, held in the town’s civic center, brings antique dealers from across the state. A variety of antique merchandise from coin collections and Civil War memorabilia to furniture can be purchased at this annual festival. 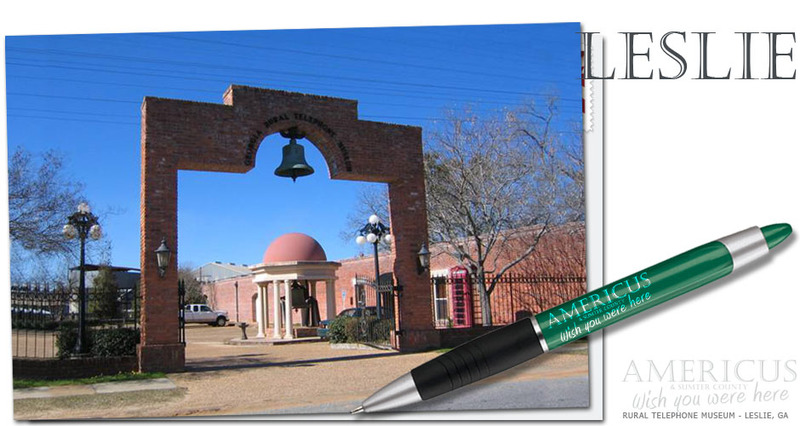 The (GRTM) is a Telephone and telephone memorabilia museum located in Leslie, Georgia, United States. Housed in a renovated 1910’s cotton warehouse, the GRTM is, according to 2007’s Georgia Curiosities, “one of the world’s largest phone museums.” According to the museum itself, the size of its collection of telephones is unparalleled. Located at 135 North Bailey Avenue, Leslie, Georgia, the GRTM is a not for profit organization. It was founded in 1995 by Tommy C. Smith. As of 2007, the museum featured 2,000 artifacts on exhibit, dating back to the 1880s.